Economic curtailment is an issue not yet fully appreciated by most investors in renewable energy, but it has the potential to reduce the availability and increase the cost of investment, writes Brian O’Connell. Brian O’Connell is a consultant for the Climate Policy Initiative’s (CPI) Energy Finance team. 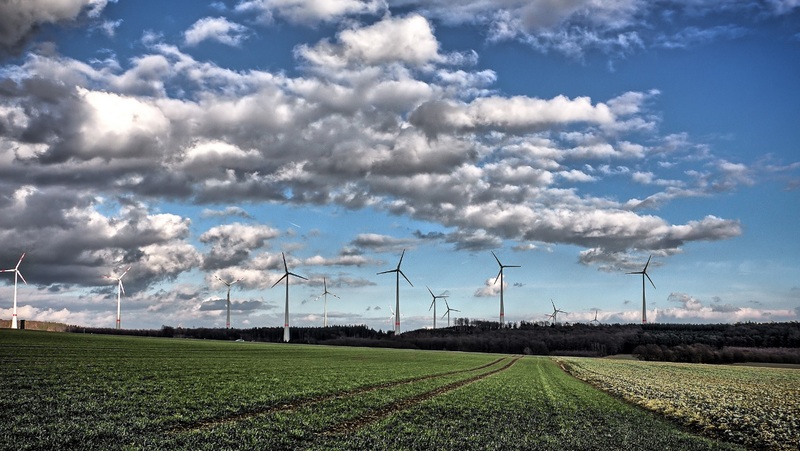 Analysis from Climate Policy Initiative suggests that without appropriate policies to lessen curtailment risk, the cost of onshore wind in Germany could increase by over 17% by 2020 and by even more in future years. German policymakers are in the process of designing policy to help mitigate this risk. So what is economic curtailment? Under European Commission state aid guidelines, renewable energy generators should have no incentive to generate electricity at times of negative prices. In other words, revenue support should be suspended during these times so that suppliers of renewable power will stop generating electricity because they will be out of pocket if they continue to do so. We have defined this issue as ‘economic curtailment’ (as distinct from ‘grid curtailment’ which occurs when the grid has no more capacity to take on power) and, as renewable energy deployment increases, it is an issue that is likely to become more relevant until such time as effective energy flexibility solutions (e.g. storage and demand response) are found. Germany has an agreement with the European Commission that this rule does not need to be applied until prices are negative for six consecutive hours or more. This reduces the potential impact on the levelised cost of electricity somewhat. Curtailing support on an hourly basis could increase the cost of electricity by over 30% in 2020. Applying a six hour rule almost halves the cost increase requirement to 17% by significantly reducing the number of negative price hours affected and therefore lowering the cost of investment by increasing the amount that debt investors would lend. Take-or-pay: One option would be to curtail production from renewable energy but continue to pay generators for the lost output. This option provides the lowest cost and risk while still offering flexibility, but under current interpretations would fall foul of EU state aid regulations by incentivising production when it was not needed. Proportional curtailment: Negative prices generally occur when wind or solar generation is high. Our analysis shows that on average a reduction of only 15% of wind output during negative price hours would move prices into positive territory. Thus, a system that could curtail only the excess generation and allocate the cost of this curtailment amongst all fixed tariff generators would better reflect system economics. This option would only be 5% more expensive than the cost of electricity under the take or pay option. Add to the end: Under this option any hours that are curtailed during the 20-year support period – after incorporating the 6 hour rule – can be accrued and power generation beyond this support period can claim additional support until such time as the accrued hours are used up. However, high discounting of cash flows 20 years from now, as well as the fact that such a policy does not extend the operating life of the generation assets (and therefore would add no value if future energy prices are at or higher than the fixed tariff prices), means that this policy would add almost no additional value to investors. Cap: under this option we assume that in addition to the 6 hour cut-off there is a limit to the number of hours that can be economically curtailed each year. The impact varies depending on the cap level. The appeal of these additional approaches depends on policymakers’ priorities and investors’ needs but our analysis suggests that if take-or-pay was not available as an option to remove economic curtailment risk then proportional curtailment would be the next best approach for attracting levels of investment consistent with meeting renewable energy deployment targets and doing so at low cost. The issue is only an issue for as long as Germany (& other states) fail to match retirement of fossil assets with RES build out – or – to ensure that ETS pricing reflects the impact of CO2 emissions. Euro5/tonne = ETS total fialure Euro30/tonne = ETS starting to do its job. Problem is, there is nothing in the pipeline likely to get ETS EUAs to this price level. The result is an article describing symptoms – whilst avoiding causes.